Your personal injury claim requires a thorough, diligent attorney who is concerned with your future and well-being. Attorney Bryan Fife has devoted his career to working with injured people who need help after an accident, and he'll fight to recover the money you need. With Attorney Fife on your side, you can get back to focusing on what matters most – your health. Attorney Bryan Fife earned his Juris Doctor from the Thomas M. Cooley Law School in Lansing, Michigan. He received his bachelor's degree in political science from Slippery Rock University. Attorney Fife is licensed to practice in all Pennsylvania State Courts and in the Western District of Pennsylvania Federal Court. Attorney Fife serves as the attorney representative for the Erie County Bar Association on the Project Peace – Peer Mediation program for the Harbor Creek School District. He is also a member of the Harbor Creek School Board and is on the board of the Erie Water Authority. 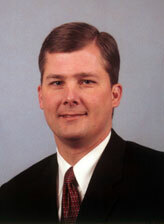 In addition, Attorney Fife is District Administrator for PA District 3 Little League.